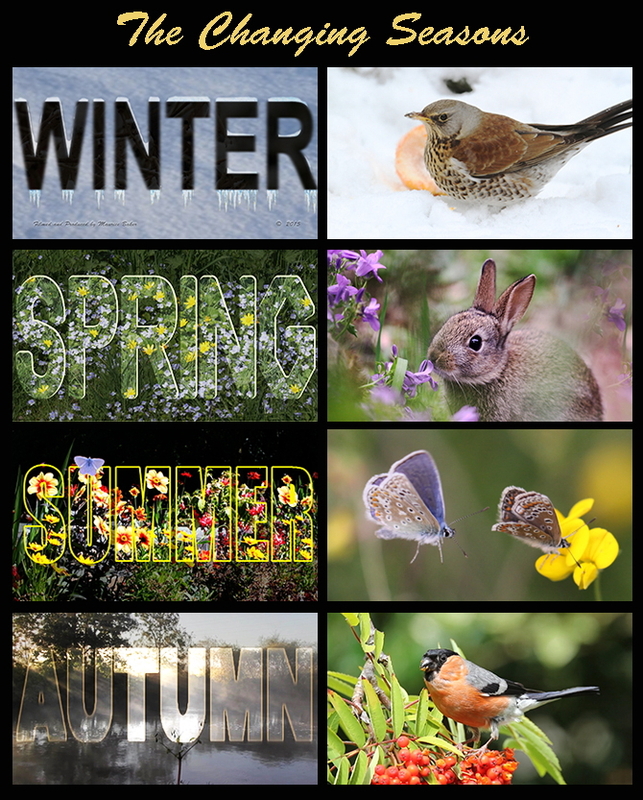 A one hour close look at the activities of the changing wildlife that visits my garden over the four very different seasons, it was filmed over three years in my back garden except for a couple of clips of the river Severn that runs the other side of the road in front of the house. 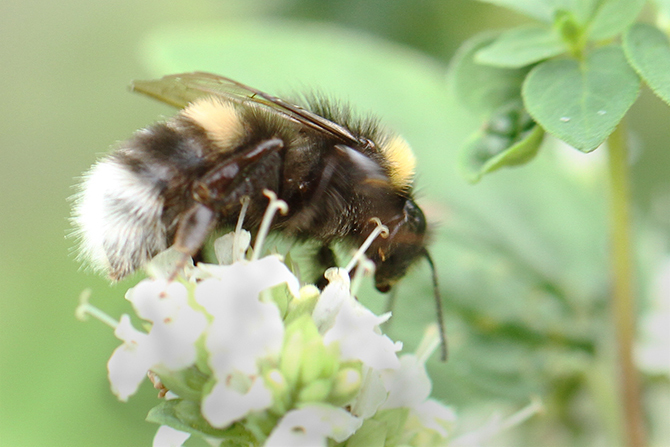 It is an urban wildlife garden of approx 300 sq meters and contains a variety of shrubs, trees and hedges, a rough grassy area and a number of water features, it can be a bit untidy and overgrown at times but the wildlife seems to like it. Winter with its cold short days can be a long and hard and time for wildlife and finding food is a priority for survival. 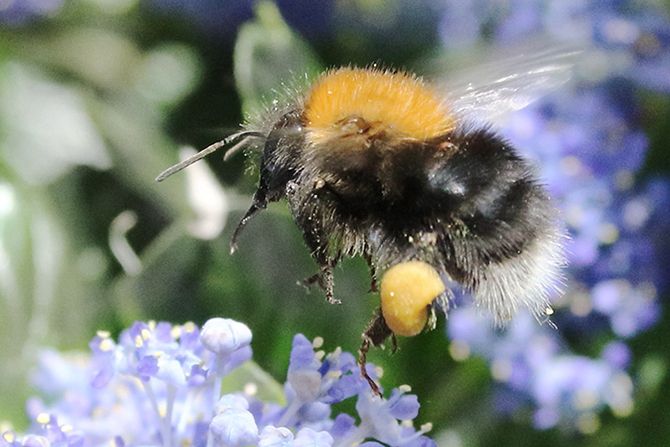 With the first days of spring there is anticipation in the air and despite the fact there can still be difficult days to come the urge to reproduce becomes a priority and the garden is filled with activity everywhere you look. 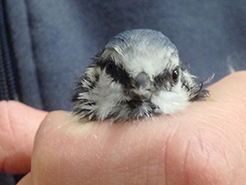 As spring unfolds there are suddenly lots of very hungry nestlings and fledglings to feed and this is a time when a lot of birds will become quite bold in their quest to find food to fill those hungry gaping mouths. 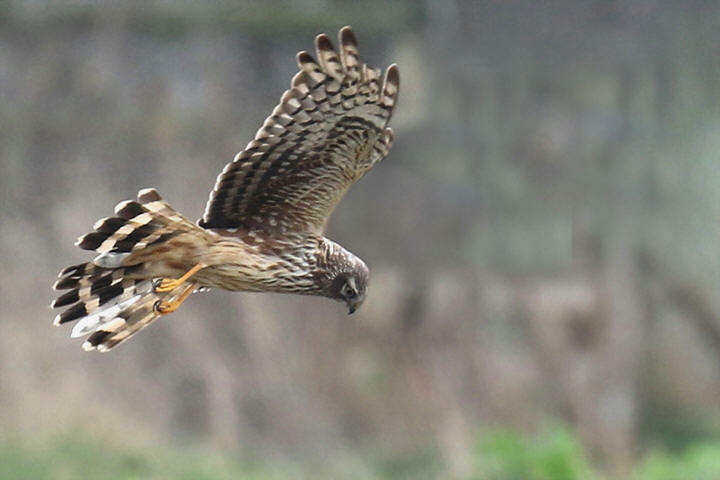 In early and mid summer the pace of life has slowed a little and most of the activity is that of young juvenile birds making their own way in the world. 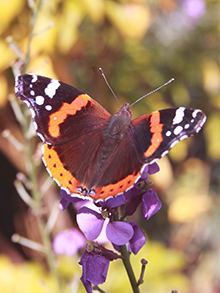 Late summer is a quiet time for birds as most of then start their moult and become more reticent to be seen so this can be a good time to look out for a different type of winged wildlife like butterflies, bees and dragonflies. Autumn sees a return to a lot of activity as everything is trying to eat as much as possible and put on weight and some are staching food away in preparation for another long winter. Just like Marmite, you love it or hate it. 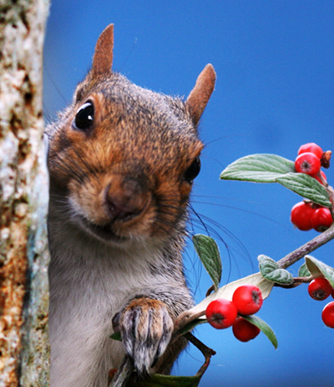 Is it a cute little creature or pest that pinches all the bird food in your garden? I think my answer to this is just put out more food and enjoy watching their antics. I know it is a shame that we have now lost the red squirrel from most of the UK and there is no way of getting back to original numbers but as long as we can maintain the reds current territories we must just accept our American cousins. The last Turtle Dove that I saw locally in Shrewsbury was in about 50 years ago in the early 1960’s. That was about the same time that the Collard Dove first made its appearance across the UK, originally from South East Asia and it has now firmly established itself as a garden regular. 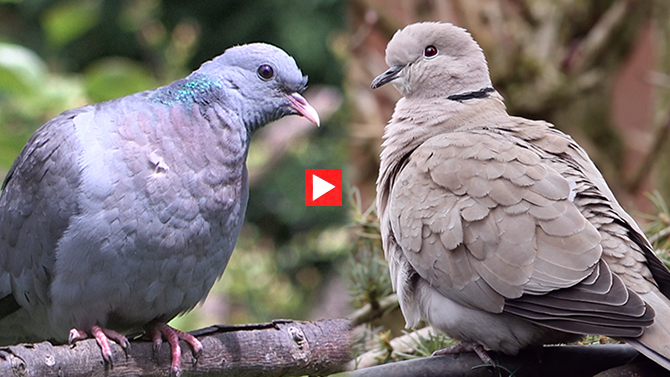 The Stock Dove is a native that declined in the 60’s because of the changes that took place in agriculture. 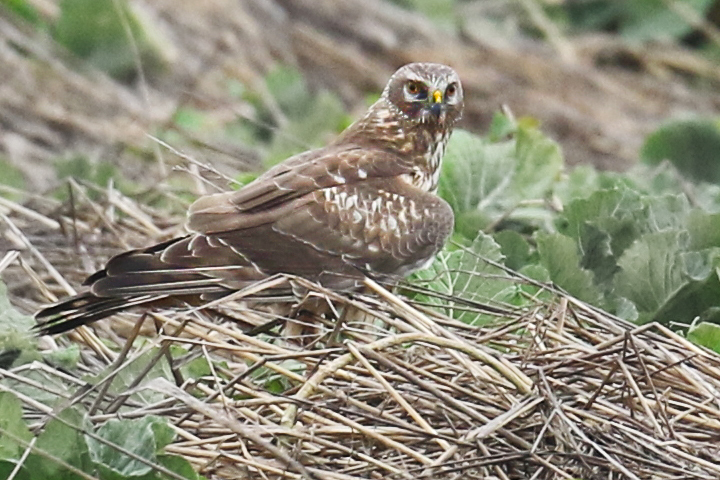 Although it is primary a bird that frequents arable farmland I have started to see it in the garden more and more recently, the most I have seen at any one time is five. At first sight the Stock Dove could be mistaken for a feral pigeon that you see in town centres but it has a beautiful iridescent neck colouring and two distinctive black markings on each wing. 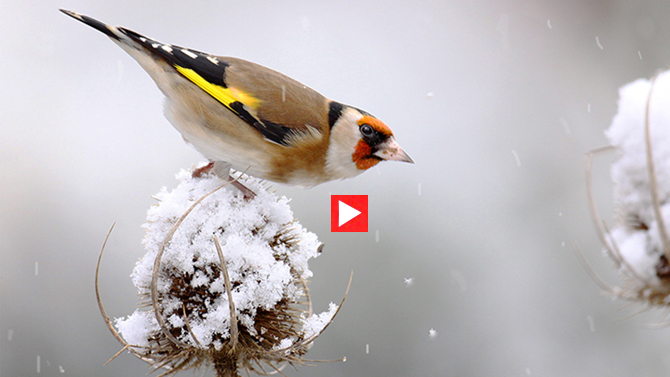 These animations and many others are available to download Royalty Free from my main website. 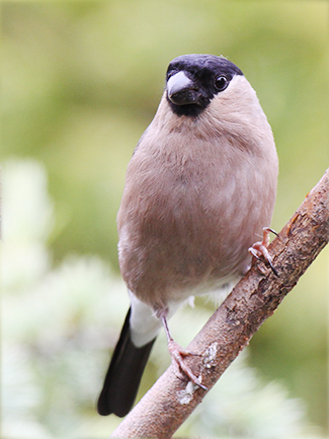 Bullfinches are regular visitors to the garden throughout the year and they have a very catholic diet. 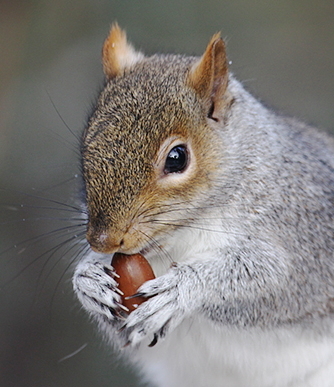 Their diet is broadly seeds during the winter, buds in the spring (particularly buds of fruit trees), insects during the summer and berries in the autumn but they will eat anything that is available at the time. In the garden their favourite food is sunflower hearts but in the autumn they are the first birds to start on the early ripening rowan berries. They can be quite messy eaters at times as can be seen in the video below when tearing apart rowan berries, but they can use that large bill to delicately remove the shell from a sunflower heart and I have watched them extracting the very small seeds from forget-me-nots and violets. 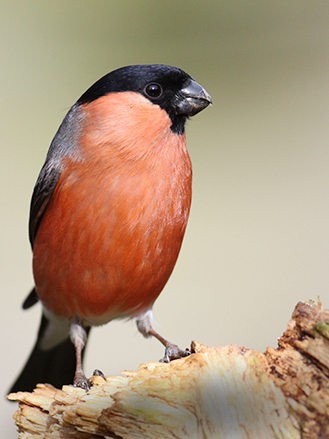 When you see a bullfinch always look out for a second one as they usually go around in pairs and you can hear the plaintive calls and piping as they keep in touch with each other. 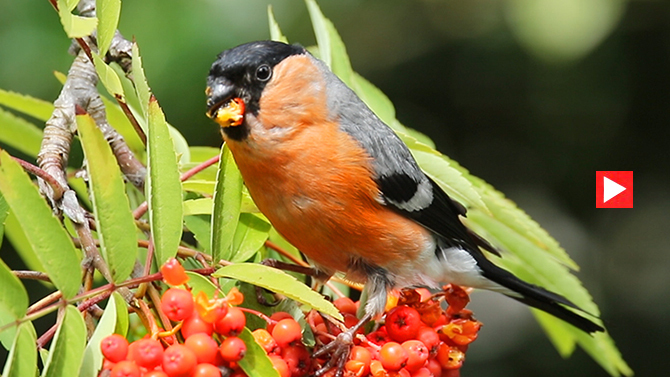 The bullfinches are now taking advantage of the early ripening Rowan berries in the garden. 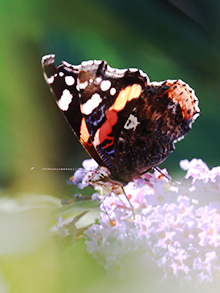 Red Admirals can be seen on the wing from as early as May right through to October but are at their most abundant in the garden in the autumn where they feed on buddleia, michaelmas daisies and ice-plants. They are also partial to the perennial wallflowers in my garden. July is usually a very quiet month for birds in the garden as most have finished breeding and are a bit more secretive as they go into moult. 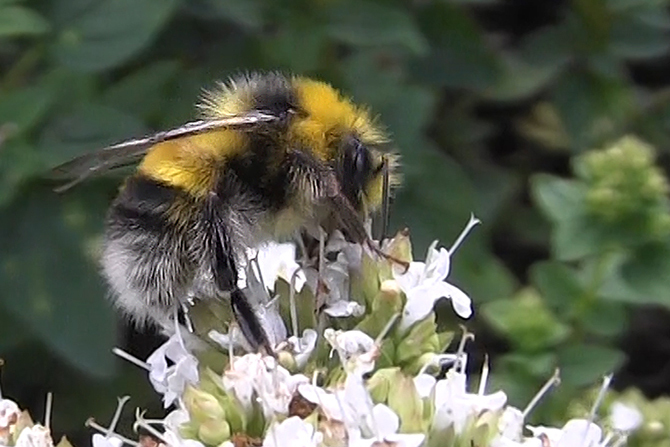 There is always something to be seen in a wildlife garden, and this year I have been watching and trying to identify the many bumblebees on the summer flowers. 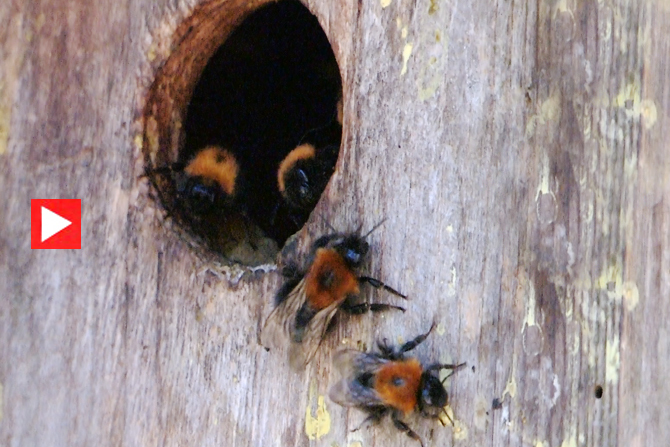 Last year there was a red-tailed bumblebees nest in a bird nest box and this year I had a tree bumblebees nest in another box. 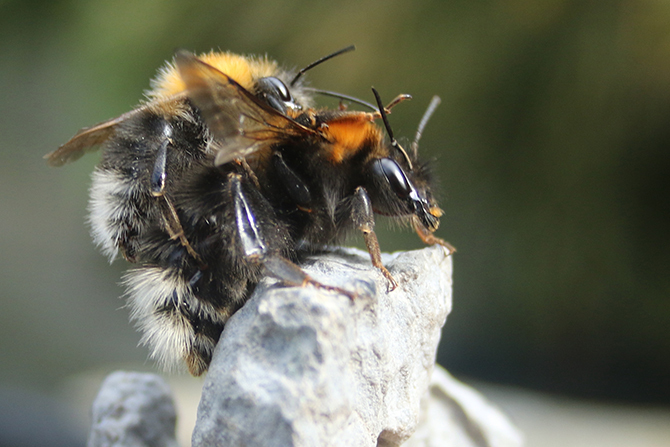 This is the first Tree Bumblebee nest that I have had in the garden, they were first recorded in the UK in 2000 and have rapidly spread throughout the country since then. 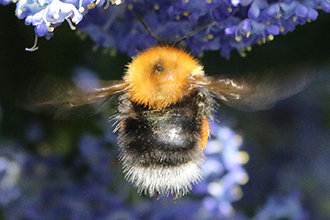 Identification of the Tree Bumblebee is quite straightforward as there is no other bee with this combination of colours and the Queen, Drones (males) and the Workers (females) all have similar markings. 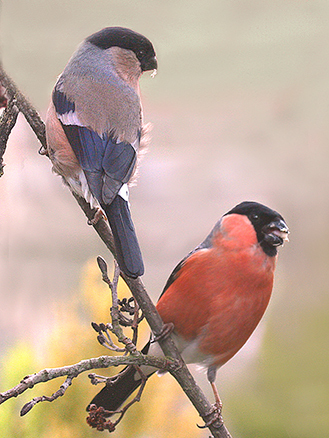 Orange at the front with a darker central patch, black on the body and a white rear. The only visible difference is their size, the queen is the largest then the drone and finally the workers. The sight of about 30 bees frantically patrolling in front of the nest made me very apprehensive at first about approaching too close. I found out they were stingless males, or drones, who had no interest in me, all they were doing was hanging around waiting for an opportunity to mate with a virgin queen. So I was quite happy to move in and get some close up film and no stings. 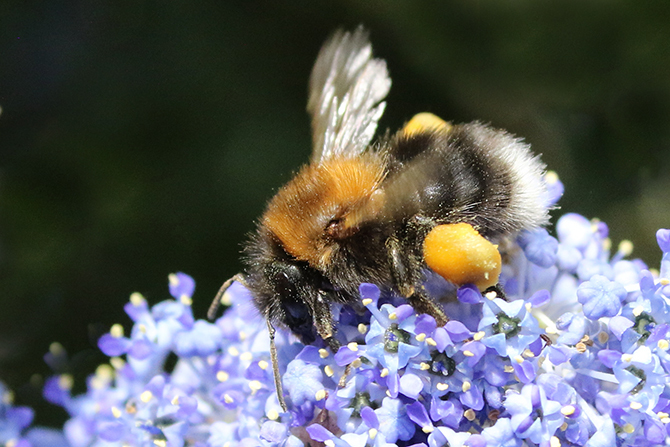 The females, or workers, were just as frantic in their search for food, and seemed to be doing very well on the ceanothus bushes by the looks of their pollen sacs. 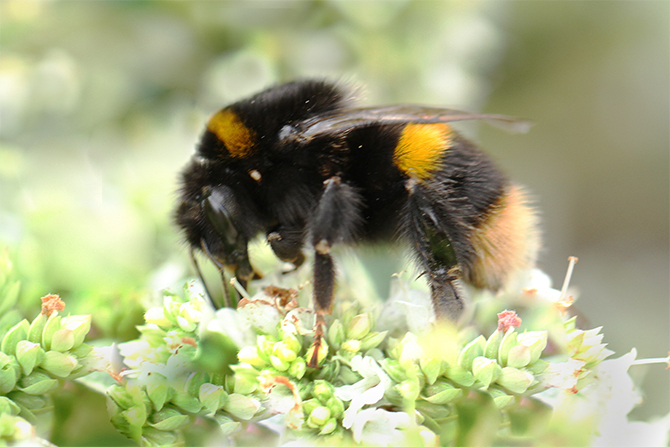 The lucky males, or maybe unlucky ones, who do manage to mate with the queen die quickly after mating. I have seen quite a few on the floor by the nest. 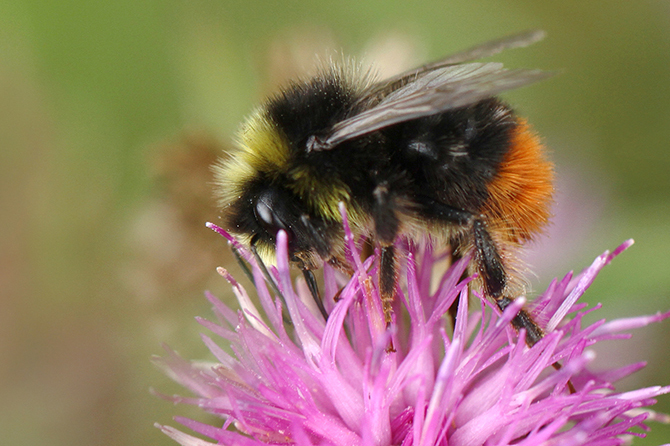 Last year I had a Red-tailed Bumblebees' nest in another bird box not far from this years. 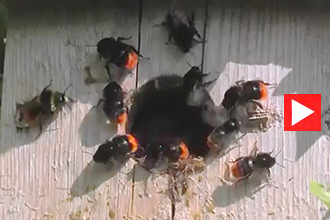 Again they a fairly easy to identify, the female workers and the queen are black with a red tail. 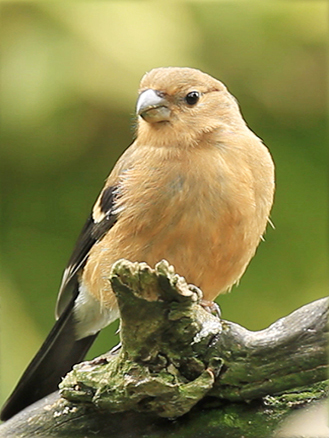 The males are similar but have a band of yellow hair just behind the head. 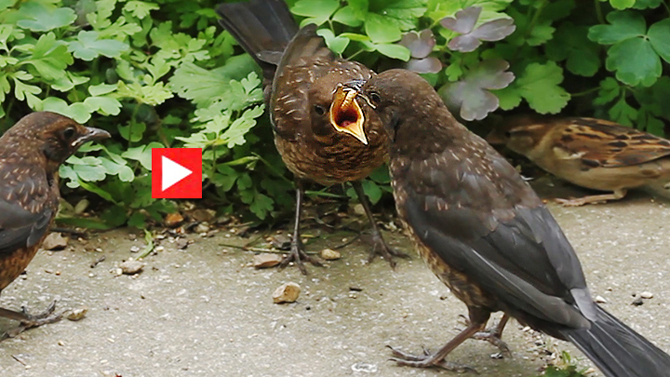 In a group of 4 juvenile blackbirds I was watching one, not much older than the others, reacted to the wide open gape and begging of one of the others by instinctively feeding it. The begging calls and wide open gape of the younger bird must have triggered the inbuilt parental instinct of the other juvenile who could have only been about a week to ten days older. I have seen this behaviour at Cuan Wildlife Rescue where they had a somewhat older juvenile in a cage with young juveniles, but never before in the wild. In the bird world nature comes out well on top of nurture as no one teaches a bird how to build a nest or that the young nestlings of seed eating birds must be fed in live food such as insects. Admittedly these skills will improve with age but the basic skills must be inherited in the first place. 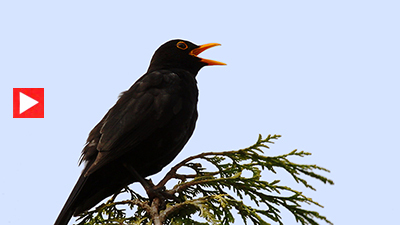 The familiar and beautiful mellow song of the blackbird can be heard in any English garden during the spring and summer and I think it sounds at its best on a still late evening. 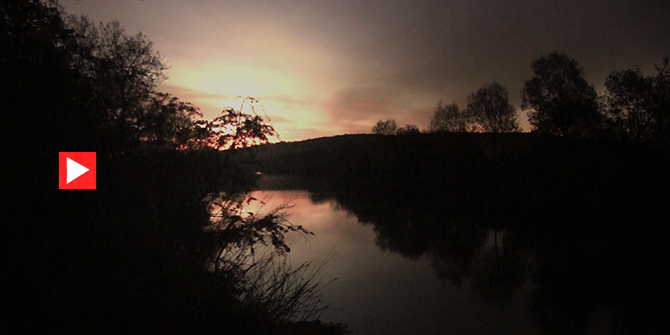 5.00am the 1st May, a beautiful spring morning and the air is full of bird song as they greet the new day. The males are singing their harts out to stake claim to their territories and to impress the females, if they were not impressed I certainly was. 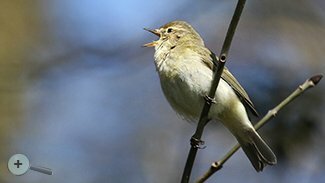 If you have never got up at this time on a morning in early May to listen to the dawn chorus you have missed out on one of nature’s most spectacular sounds. 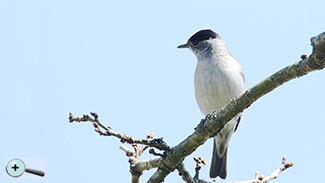 There are so many birds singing that it is difficult to identify many of the individual songs, but later in the day when things have calmed down you can pick out and appreciate the individual bird songs. 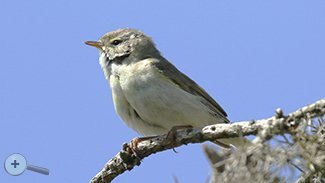 It is then possible to fully appreciate the beauty of three of our more common warblers the Chiffchaff, the Willow Warbler and the Blackcap. Often the only sure way of identifying the Chiffchaff and the Willow Warbler is by their song. 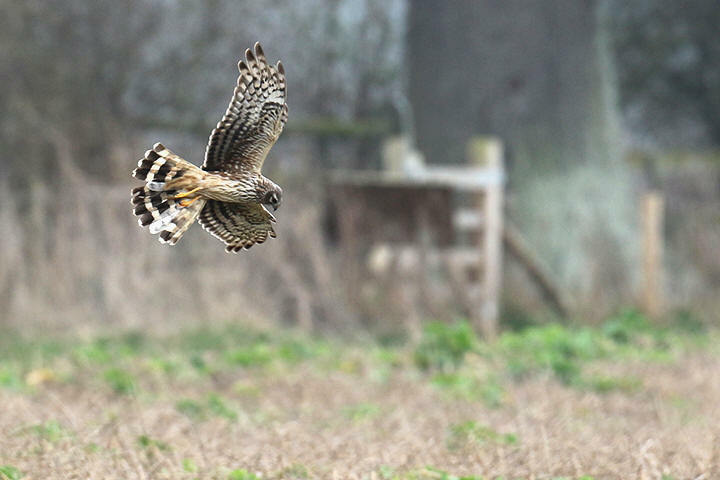 After numerous visits to Venus Pool to see the Ringtail Hen Harrier, that has been around for about four weeks, I finally managed to get some reasonable shots of it as it was hunting over the stubble in the top field. 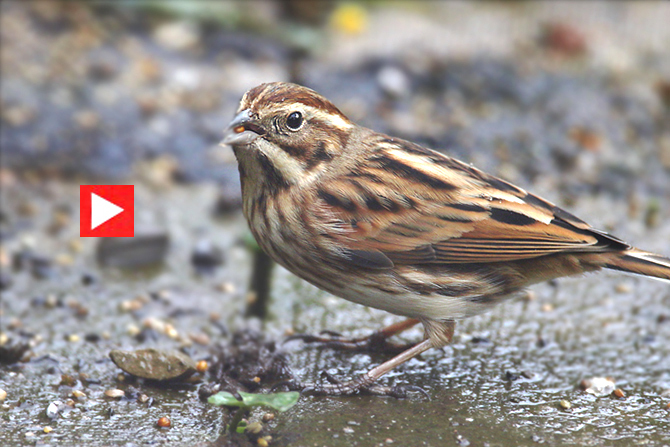 Female Reed Bunting, its four years since I last saw one in the garden and the first time I have had the chance to film one. 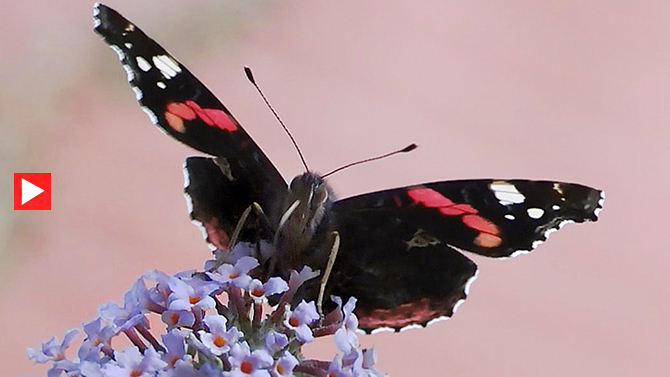 Unfortunately it was a bit too close as I had got the 500 f4 lens on my camera and could not risk it flying off if I went to change my set up. Why so many Magpies ? 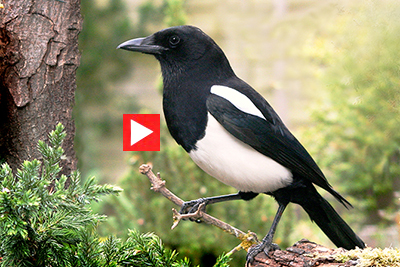 Have you noticed the increase in numbers of magpies? In a 1973 edition, published by Reader's Digest, of Book of British Birds it describes it as a shy bird that is just starting to move into towns. In the forty years since then it has certainly established itself as a town & city bird. I wouldn't now describe it as a shy bird either as one or two follow me around at a close distance on my morning dog walks to see if they can pinch any of the robins mealworms. 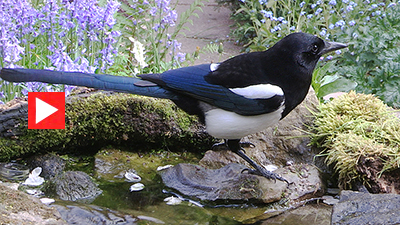 A few years ago I would just get the occasional single magpie visiting the garden, then about three years ago there would sometimes be a pair and the following year there was a juvenile as well. 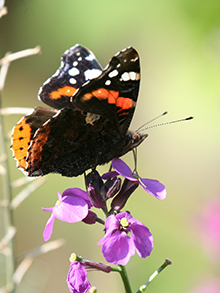 This winter there have regularly been as many as seven at any one time in the garden. ONE FOR SORROW is an old traditional children's nursery rhyme. At first glace a magpie may appear be just black and white but in the right light you can see a beautiful iridescent blue-green sheen to the back, wings and tail. This is one of my very bold and sometimes noisy magpies that frequents the garden regularly. A familiar sight in and over the garden in resent years. 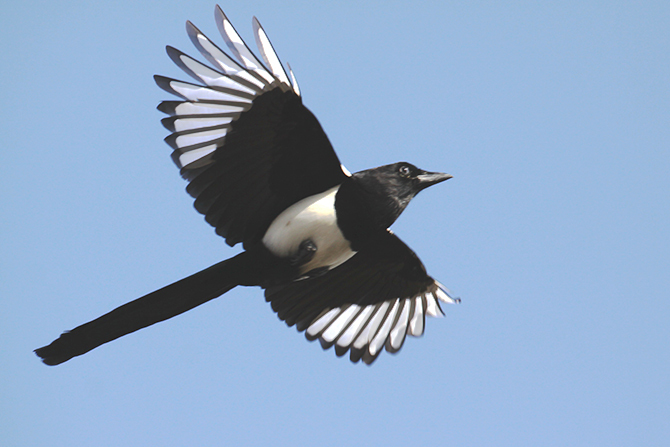 An short article published by the RSPB suggests some of the reasons for the changes in the magpie population. 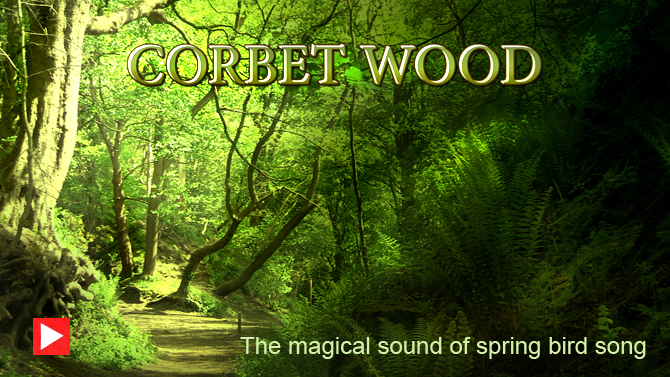 Corbet Wood - an enchanting wood in spring. A reminder that spring and the air full of bird song will soon be with us again. Corbet Wood Countryside Heritage Site on the A49 just north of Shrewsbury, Grid ref. SJ 525237, is situated on the slopes of the Grinshill sandstone ridge and there are outstanding panoramic views towards the South Shropshire Hills and the Welsh Borders. Part of the wood is situated in the old abandoned sandstone quarry and being enclosed by tall shear sandstone walls the light filtering through the tall trees from above and the echoing sounds of the bird song give the whole place a magical or mystic feel to it in spring. It is accessible from Clive, Yorton and Grinshill, and car parking is available at the Heritage site. Welcome to my new blog. I live in Shrewsbury and although most of my blog will be a diary and observations about garden birds I will inevitably be drawn out to the beautiful surrounding countryside of Shropshire, from the meres in the north to the rolling South Shropshire Hills. Follow the progress of this plucky little chap with only one foot, as it shows real determination to survive. 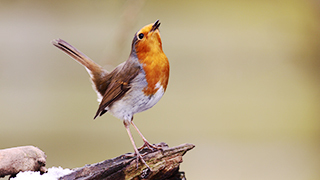 I am just a keen amateur bird watcher and photograph but I will occasionally try and pass on a few tips that I have picked up that may be helpful when you are photographing birds in your garden. A selection of some of the 39 species of birds that visit my garden. I have gradually changed my urban back garden into a wildlife friendly area by adding water features, fruit and berry bushes & trees and letting the ivy cover the fence, trees and back of the house. 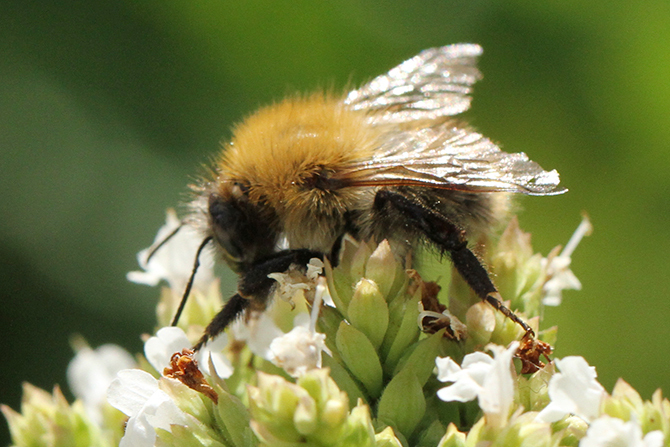 I have introduced a rough grass area and encouraged wild flowers such as trefoil, knapweed, nettles & teasel to grow. By year round feeding & adding nest boxes I have recorded 39 different species of birds including predators, which I suppose is a sign of a well stocked wildlife garden.